Egypt’s Carbon Holdings has secured $1.25 billion in financing to build a giant petrochemicals complex in the Red Sea port of Ain Sokhna. The Tahrir Petrochemicals Complex, a $10.9 billion project, would be the largest in the Middle East and is expected to create 48,000 jobs. Carbon signed the financing contract with Africa Finance Corporation (AFC), a Lagos-based development financier, on the sidelines of an Africa business forum in the resort of Sharm al-Sheikh, the Egyptian cabinet said in a statement on Sunday. The statement cited Carbon Holdings CEO Basil El-Baz as saying the company had signed several financing agreements worth $5.4 billion. Carbon, a private company, signed the contract to build the complex in June. Work is expected to begin in the first quarter of 2019. El-Baz told Reuters last year he saw the project helping to double Egypt’s exports within one year of coming online. Tahrir will have to export all its production in the first year but as output increases, domestic manufacturers will be encouraged to expand and foreign ones will consider setting up next to the Suez Canal, he had said. Carbon Holdings already has a polypropylene plant and a mining grade ammonium nitrate plant. The government says the 460-square-km economic zone around the canal will be used to develop an international industrial and logistics hub to attract foreign investment. 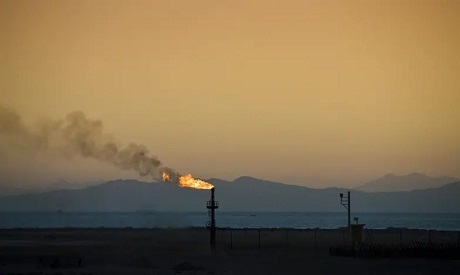 The Tahrir Petrochemicals Complex, which is being funded by credit agencies in the United States, Britain and Germany, is Egypt’s first naphtha cracker and will produce different types of petrochemicals used to make various consumer and industrial goods.